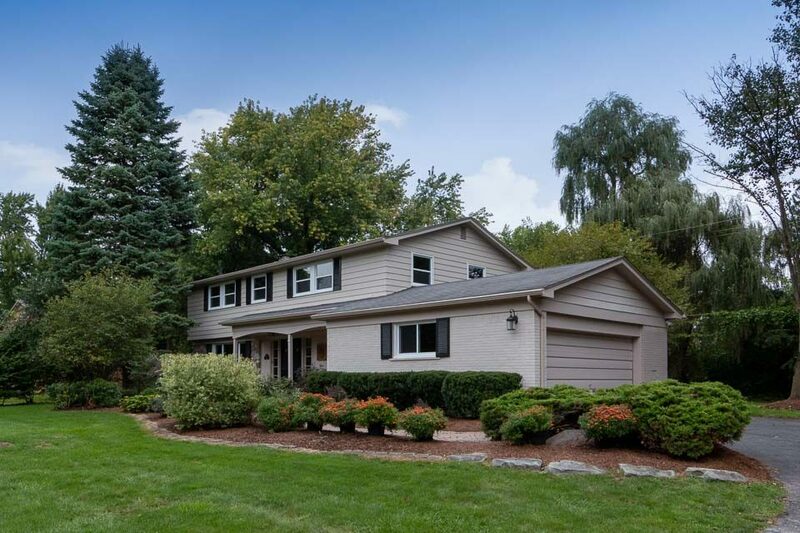 We had the pleasure of shooting a classic colonial home for sale on Kernway in Bloomfield Hills, MI. 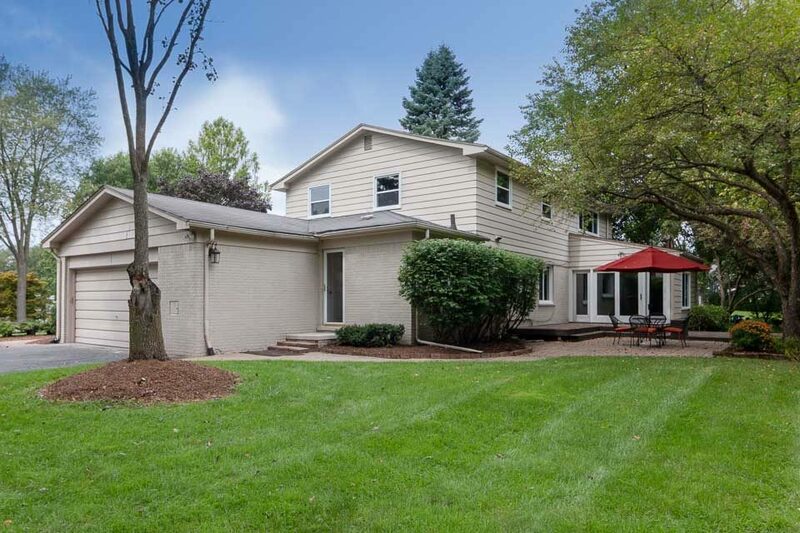 The house has four bedrooms, 2.5 baths, and a finished basement. 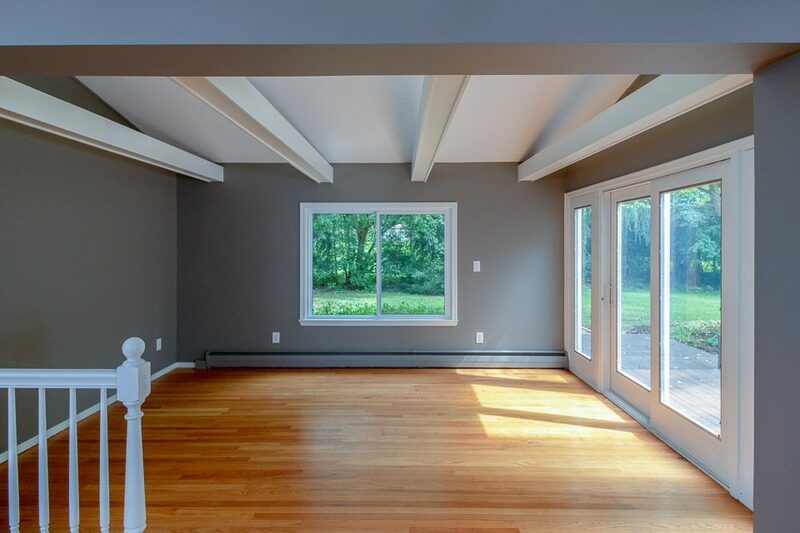 The rest of the house has hardwood floors, and most of the walls are painted an array of grays that gives off a home-y, comfortable feel. 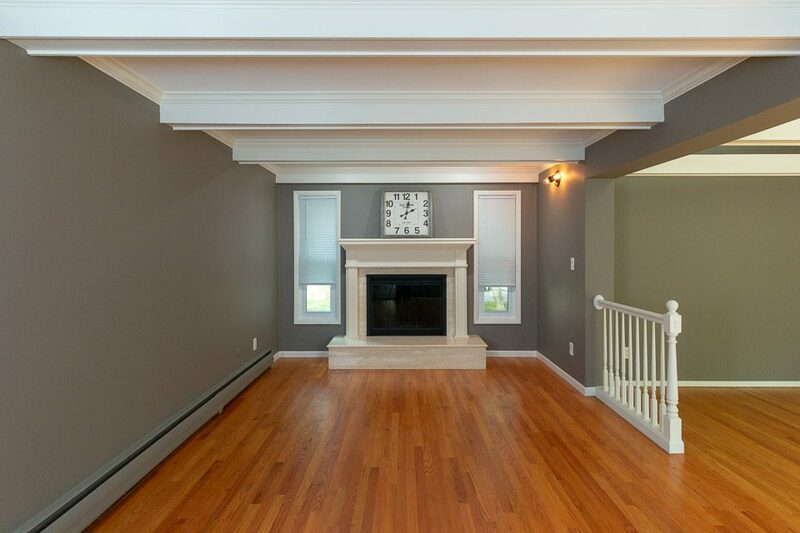 The white borders and accents around the house are a stark contrast from the gray but gives the home a classic vibe. If you walk through the sliding glass door to the backyard, you will find a brick patio and extra privacy thanks to the surrounding trees. This house is ready to be a home, all it needs is you! Exterior of the colonial house. Inside one of the bathrooms. An open living room with a natural fireplace. 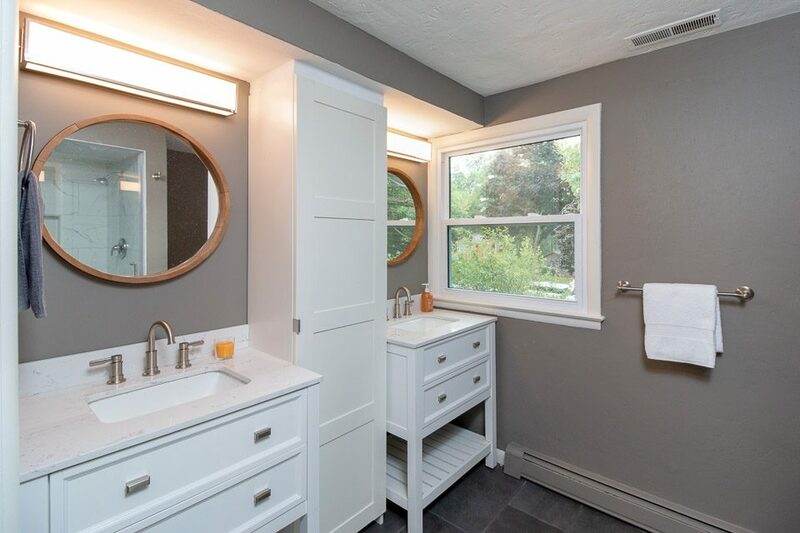 The floor to ceiling window really opens up the room. 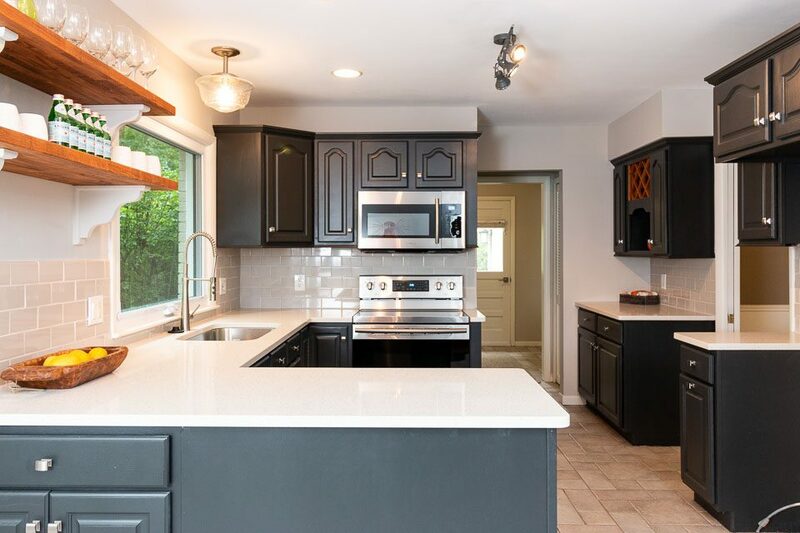 The kitchen with black cabinets and contrasting white countertops, tiling, and walls. 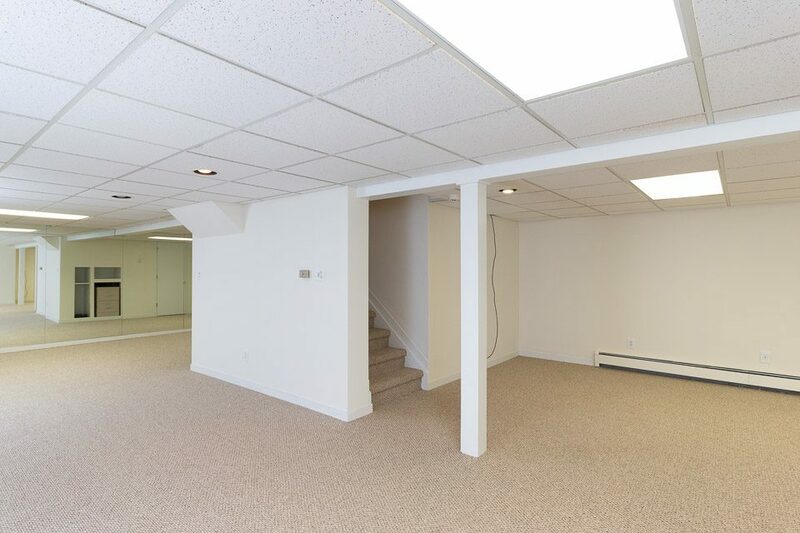 Finished basement with so much space! A shot of the exterior of the house from behind.